Lets say you're starting or thinking of starting a career in a particular job and you are wondering how many jobs there are in your area or other parts of the country. For example lets say you've read that petroleum engineering is a good job and you live in Hawaii. Are you likely to get a petroleum engineering job in Hawaii? Well no. But where can you get such a job? Where are the jobs? 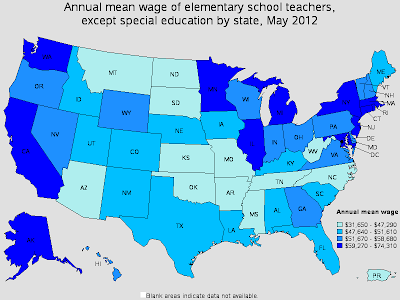 Some occupations have ample jobs in every region and every state: elementary school teachers for example are employed everywhere in the nation. 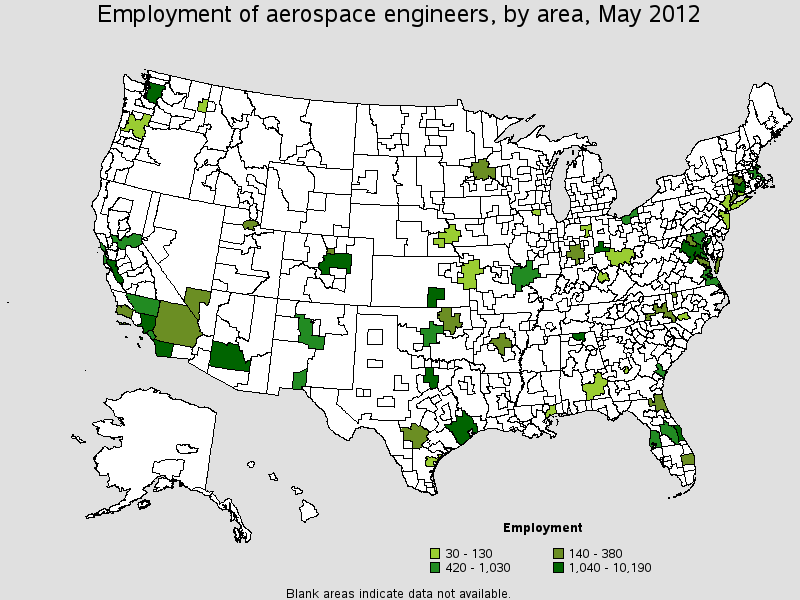 However some jobs are mostly concentrated in certain states or even certain cities. In addition to knowing where the jobs are you'll also likely want to know how much people get paid in different areas. 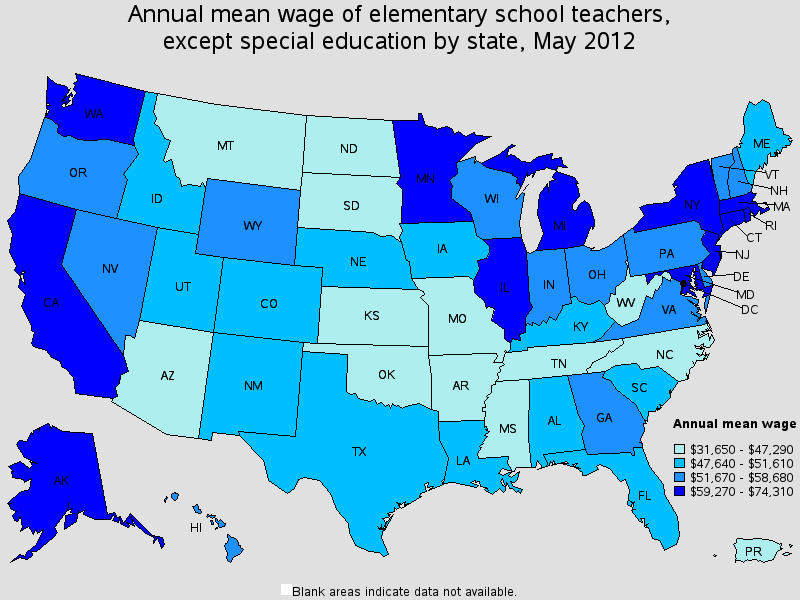 You can use the BLS' Occupational Employment Statistics maps to find out what states have the most jobs in a given occupation as well as find wage data for the jobs. 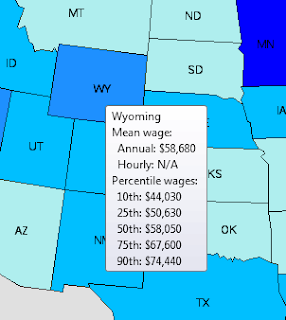 The map generator lets you pick a general occupation field, then a specific occupation and then show the employment, quotient or wages by state or MSA. 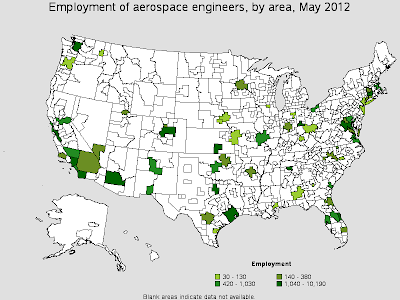 Say for example you're an aspiring aerospace engineer, can you get a job in Wyoming or Idaho or Maine? Not too likely. 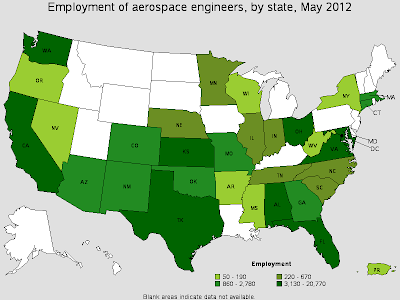 But if you're interested in living in California or Washington then you can find a lot of jobs in those states.